Product categories of Fiberglass Geogrid, we are specialized manufacturers from China, Warp Knitted Fiberglass Geogrid, Pavement Geogrid suppliers/factory, wholesale high-quality products of Glass Fiber Geogrid R & D and manufacturing, we have the perfect after-sales service and technical support. Look forward to your cooperation! Fiberglass Pavement Mesh is a product that uses a continuous coating of fiberglass as an ideal highway pavement reinforcement. Pavement Geogrid is characterized by high tensile strength in both axial and lateral direction, low stretch rate, high temperature-resistance, alkali-resistance, easy construction, and low price. 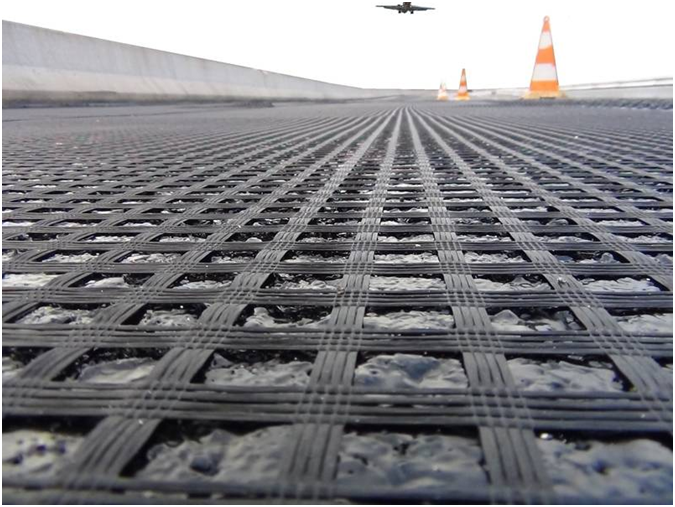 Warp Knitted Fiberglass Geogrid can be used on pitch pavement, bituminous concrete pavement, and cement pavement to prevent cracks and prolong pavement service life. It also can be used as basal reinforcement material on hillsides, reservoirs, harbours, ports, water channels and sea walls. Mesh Size:12.7mmx12.7mm, 25.4mmx25.4mm, 30mmx30mm, 40mmx40mm, 50mmx50mm etc.